On Aug. 10, 2018, the Honoring Native Lands resolution was submitted. It has since been reviewed by the Advisory Committee on Public Policy and was available for member comment. The proposed resolution is now open for voting by membership. Please express your support or opposition of this resolution by Nov. 25. Are you passionate about the next generation of nutrition educators? Professional Opportunities in School Nutrition Services: Nutrition Education, Food System Change and More! 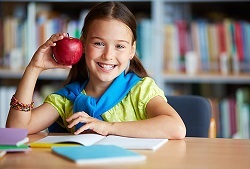 The 2018 publication of Joint Position Paper on Comprehensive Nutrition Programs and Services in Schools, by SNEB, School Nutrition Association and the Academy of Nutrition and Dietetics, provides the foundation for exciting nutrition career opportunities. Dayle Hayes, MS, RD, co-author of the Position and Practice Papers on School Nutrition, will discuss the spectrum of school career opportunities available to new and mid-career professionals in every area of the country. Participants will learn about the range of jobs available and the skills necessary to succeed in this important, but still relatively unknown, area of practice. 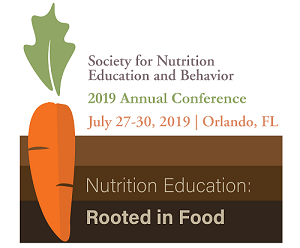 Participants will explore how working in school nutrition, including food service, farm to school and other programming, can provide nutrition education professionals with many ways to impact children’s lifelong health and wellness. SNEB/SNEBF gratefully acknowledges the underwriting of this activity provided by St. Louis District Dairy Council. Acceptance of these resources does not imply endorsement of the donor or its mission, products, or services. To read the full External Funding Guidelines, click here. Webinars are a benefit of SNEB membership. Non-member fee is $25 to register for a webinar, but non-members are able to attend this webinar as guests of the St. Louis District Dairy Council. Dayle Hayes is an award-winning author and educator. Her creativity, common-sense and social media success have made her a sought-after speaker. Dayle co-authored the 2018 Position and Practice Papers: Comprehensive Nutrition Programs and Services in Schools. Based in Bozeman, Montana, she provides training and technical assistance to school districts, educational agencies and agricultural groups around the USA.